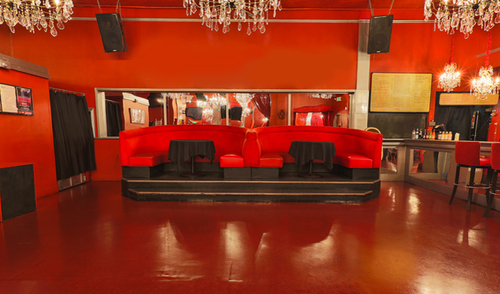 Our passion is being a part of the San Francisco cultural scene. We embody San Francisco’s quirkiness of juxtapositions. We are organized people who understand what it means to live a little. We eat crispy tacos under decadent chandeliers. We have a history of facilitating memorable events for all walks of life. There is no client too large for us or too small. We are good people and have a special place in our hearts for non-profits and students. Event planning, venue rental, private parties, corporate events, holiday parties, fitness events, wine tastings, launch parties, state-of-the-art lighting & sound, catering, coordination, creation, production, planning & logistics. All with an open mind. only a few blocks away from Moscone Center. on the corner of Broadway & Polk.